Every line of business (LOB) is clear on their focus. They need to uncover predictive analytics projects that somehow affect their bottom line. (Increase sales, increase customer service, decrease mistakes, increase calls per day and the like). When Human Resources analysts begin a predictive analytics initiative, what we see mirrors what every other line of business does. Somehow for HR, instead of having a great outcome it can be potentially devastating. Unless the unique challenge HR faces is understood, it can trip up an HR organization for a long time, cause them to lose analytics project resources and funding, and continue to perplex HR as they have no idea how they missed the goal of the predictive initiative so badly. 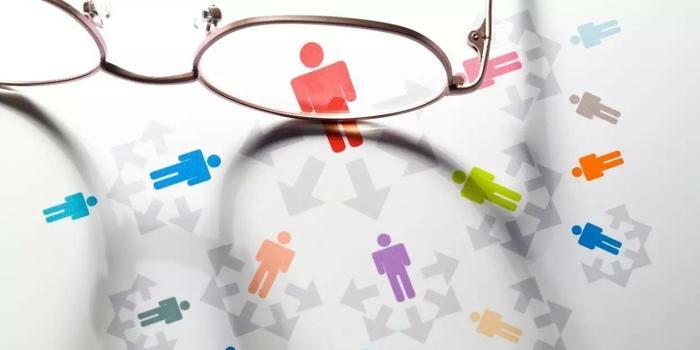 Talent Analytics’ experience has been that (like all other lines of business) when Human Resources focuses on predictive analytics projects, they look around for interesting HR problems to solve; that is, problems inside of the Human Resources departments. They’d like to know if employee engagement predicts anything, or if they can use predictive work somehow with their diversity challenges, or predict a flight risk score that is tied to how much training or promotions someone has, or see if the kind of onboarding someone has relates to how long they last in a role. Though these projects have tentative ties to other lines of business, these projects are driven from an HR need or curiosity. Our firm is often asked if we can “explore the data in the HR systems” to see if we can find anything useful. We recommend avoiding this approach as it is exactly the same as beginning to read Wikipedia from the beginning (like a book) hoping to find something useful. When exploring HR data (or any data) without a question, what you’ll find are factoids that will be “interesting but not actionable”. They will make people say “really, I never knew that”, but nothing will result. You’ll pay an external consultant a lot of money to do this, or have a precious internal resource do this – only to gain little value without any strategic impact. Avoid using the Wikipedia Approach – at least at first. Start with a question to solve. Don’t start with a dataset. Like all other Lines of Business, HR is excited to show results of their HR focused predictive projects. The important disconnect. HR shows results that are meaningful to HR only. Perhaps there is a prediction that ties number of training classes to attrition, or correlates performance review ratings with how long someone would last in their role. This is interesting information to HR but not to the business. Business outcomes matter to the business. HR outcomes don’t. Human Resources departments can learn from the Marketing Department who came before them on the predictive analytics journey. Today’s Marketing Departments, that are using predictive analytics successfully, are arguably one of the strongest and most strategic departments of the entire company. Today’s Marketing leaders predict customers who will generate the most revenue (have high customer lifetime value). Marketing Departments did not gain any traction with predictive analytics when they were predicting how many prospects would “click”. They needed to predict how many customers would buy. Early predictive efforts in the Marketing Department used predictive analytics to predict how many webinars they’ll need to conduct to get 1,000 new prospects in their prospect database. Or, how much they’d need to spend on marketing campaigns to get prospects to click on a coupon. (Adding new prospect names to a prospect database is a marketing goal not a business goal. Clicking on a coupon is a marketing goal not a business goal). Or, they could predict that customer engagement would go up if they gave a discount on a Friday (again, this is a marketing goal not a business goal. The business doesn’t care about any of these “middle measures” unless they can be proved and tracked to the end business outcome. Business wants to reliably predict how many people would buy (not click) using this coupon vs. that one. When marketing predicted real business outcomes, resources, visibility and funding quickly became available. When Marketing was able to show a predictive project that could identify what offer to make so that a customer bought and sales went up - business executives took notice. They took such close notice that they highlighted what Marketing was able to do, they gave Marketing more resources and funding and visibility. Important careers were made out of marketing folks who were / are part of strategic predictive analytics projects that delivered real revenue and / or real cost savings to the business's bottom line. Marketing stopped being “aligned” with the business, Marketing was the business. Human Resources needs to do the same thing. Many people get tangled up in definitions. Is it people analytics, workforce analytics, talent analytics or something else? It doesn’t matter what you call it - the point is that predictive workforce projects need to address and predict business outcomes not HR outcomes. Like Marketing learned over time, when Human Resources begins predictive analytics projects, they need to approach the business units they support and ask them what kinds of challenges they are having that might be affected by the workforce. Measurably increasing specific employee performance (real performance not performance review scores) in one role or department or another (i.e. more sales, less mistakes, higher customer service scores, less accidents). I say “measurably” because to be credible, the predictive workforce initiative needs to measure and show business results both before and after the predictive model. Once an employee is hired, the business begins pouring significant cost into the employee typically made up of a) their salary and benefits b) training time while they ramp up to speed and deliver little to no value. Our analytics work measuring true replacement costs show us that even for very entry level roles a conservative replacement estimate for a single employee (Call Center Rep, Bank Teller and the like) will be over $6,000. A great example, is to consider the credit industry. Imagine them extending credit to someone for a mortgage – and then applying analytics after the mortgage has been extended to predict which mortgage holders are a good credit risk. It’s preposterous. They only thing the creditor can do after the relationship has begun is to try to coach, train, encourage, change the payment plan and the like. It’s too late after the relationship has begun. Predicting credit risk (who will pay their bills) – is predicting human behavior. Predicting who will make their sales quota, who will make happy customers, who will make mistakes, who will drive their truck efficiently – also is predicting human behavior. HR needs to realize that predicting human behavior is a mature domain with decades of experience and time to hone approaches, algorithms and sensitivity to private data. What is Human Resources’ role in predictive analytics projects? The great news is that typically the Human Resources Department will already be aware of both of these business challenges. They just hadn’t considered that Human Resources could be a part of helping to solve these challenges using predictive analytics. Many articles discuss how Human Resources needs to be an analytics culture, and that all Human Resources employees need to learn analytics. Though I appreciate the realization that analytics is here to stay, Human Resources of all people should know that there are some people with the natural mindset to “get” and love analytics and there are some that don’t and won’t. As I speak around the world and talk to folks in HR, I can feel the fear felt today by people in HR who have little interest in this space. My recommendation would be to breathe, take a step back and realize that not everyone needs to know how to perform predictive analytics. Realize there are many traditional HR functions that need to be accomplished. We recommend a best practice approach of identifying who does have the mindset and interest in the analytics space and let them partner with someone who is a true predictive analyst. For those who know they are not cut out to be the person doing the predictive analytics there are still many roles where they can be incredibly useful in the predictive process. Perhaps they could identify problem areas that predictive analytics can solve, or perhaps they could be the person doing more of the traditional Human Resources work. I find this “analytics fear” paralyzes and demoralizes employees and people in general. These roles can sometimes all be the same person, and sometimes they can be many different people depending on the complexity of the project, the size of the predictive workforce organization, the number of lines of business that are involved in the project and / or the multiple areas where data needs to be accessed. The important thing to realize is there are several non analytics roles inside of predictive projects. Not every role in a predictive project requires a predictive specialist or even an analytics savvy person. We recommend, no. At least not to begin with. We started by describing how business leaders are pressuring Human Resources to do predictive analytics projects. There is often little or no guidance given to HR about what predictive projects to do. Here is my prediction and you can take it to the bank. I’ve seen it happen over and over again. When HR departments use predictive analytics to solve real, Line of Business challenges that are driven by the workforce, HR becomes an instant hero. These Human Resources Departments are given more resources, their projects are funded, they receive more headcount for their analytics projects - and like Marketing, they will turn into one of the most strategic departments of the entire company.